Not quite a teen yet but not a child either, being 12 is a difficult time. 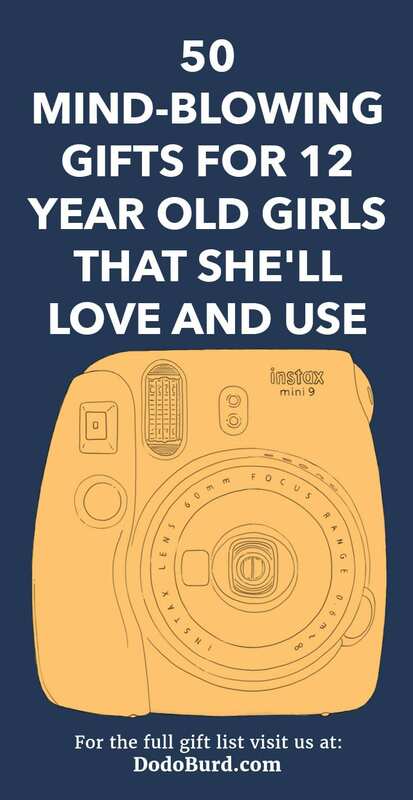 To make it easier for you both, we’ve gathered together some amazing gifts for 12 year old girls so you can show her that you’re there for her. From games consoles to jewelry, there’s bound to be something for your pre-teen in here. We take photos every minute of the day using our smart devices, it’s never been easier, but using them stops us printing them out and having physical copies. 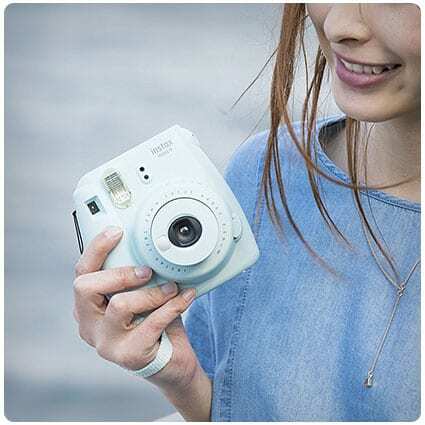 This Fujifilm Instax is small enough for her to take with her everywhere and get print outs instantly. Technology is a part of everyday life now and it can be used for so many different things. An Apple iPad can be used to access social media but also give her access to the internet as well as the tools to do well in her education and homework. 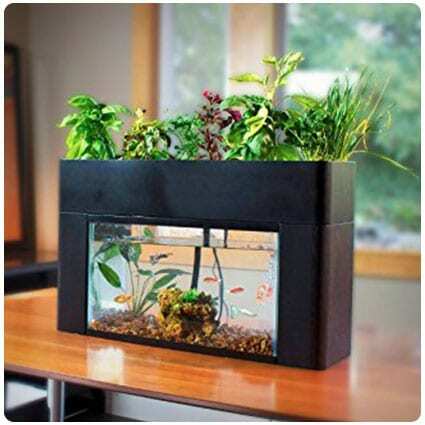 Give her something to look after and take pride in with this AquaSprouts Garden. On the top, she’ll be able to grow some amazing plants, herbs and even vegetables while underneath, she can keep some pet fish which fertilize the plants and in turn, the plants clean the water for the fish. Being 12 is a stressful time, you’re almost a teenager but you’re not a child anymore, either, and you’re trying to figure out who you’re growing up to be. 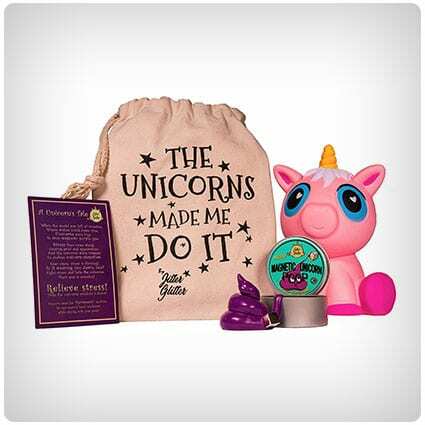 This Magical Unicorn Stress Relief Kit would be perfect for helping her calm down and not get too worked up. 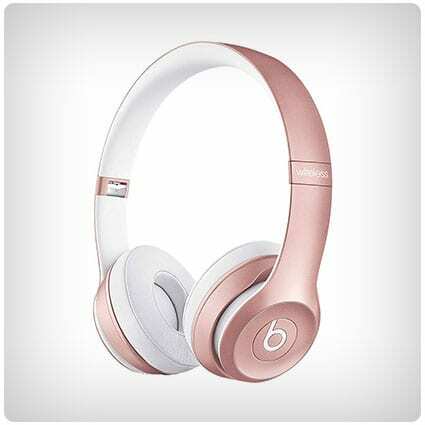 Perfect for watching videos on the internet or listening to music, this Beats wireless headphones by Dr. Dre would make a great gift for your 12 year old girl. They come in a very stylish rose gold color and they’re bound to go with every outfit she wears. Fingerlings were the must have present of Christmas last year but now that the hype surrounding them has calmed down, they’re a lot easier to get hold of. And this adorable light up glittery unicorn is the perfect one for a 12 year old girl. At the weekends and during school holidays, us parents struggle to find ways to keep our children entertained and stimulated, but here’s the answer. A monthly subscription box which gets delivered to your door filled with brilliant ideas which are picked for their age range. Bath bombs are an essential to make any bath time relaxing but the ones you can get at the store can be expensive. This bath bomb kit is ideal because she’ll be able to create 10 of her very own fizzy bombs for her bath while having a bit of a chemistry lesson. 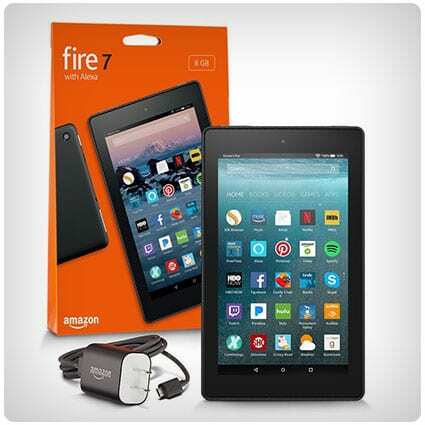 With the Fire 7 Tablet from Amazon, you’ll be able to download a number of books, magazines, TV shows and movies so they can be accessed by your daughter easily. It also has Alexa which she can ask for help, what the weather is like, and to make lists for her, too. These hair chalks can be used to let your daughter experiment with her hair color without it being permanent. They can be applied to dry hair and will work on any hair color or shade. They’re easily washed out with some shampoo so she can start again with a fresh canvas. STEM education is something which is important to our kids these days as it focuses on science, technology, engineering and math, all of which are great career paths to go down. 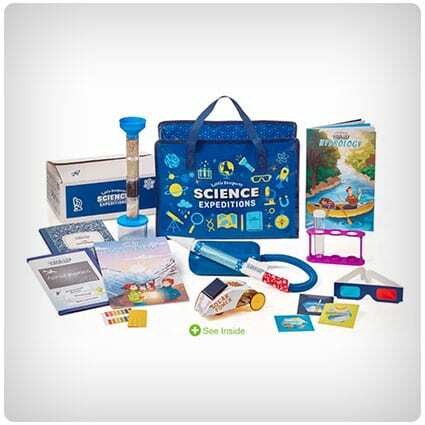 This monthly subscription box contains experiments which will help them develop their STEM skills. Whether she uses this pool float at the beach or the pool, she’ll be the envy of her friends with it. In a beautiful shimmering rose gold color, this flamingo ride on toy is the perfect thing for her to lounge on and enjoy the warm weather. Presented in a beautiful box, this set of 8 handmade bath bombs is the perfect gift for a 12 year old girl. They’re made from natural and organic ingredients such as shea butter, which are known for their skin softening qualities, so she can use them knowing that they’re not going to irritate her. Mark your travels across America with this Scratch Map. The overall map is brown but when you visit a new state or city and scratch it off, a burst of color will be revealed, and when you’ve visited all 52 states, a colorful poster will be on your wall. 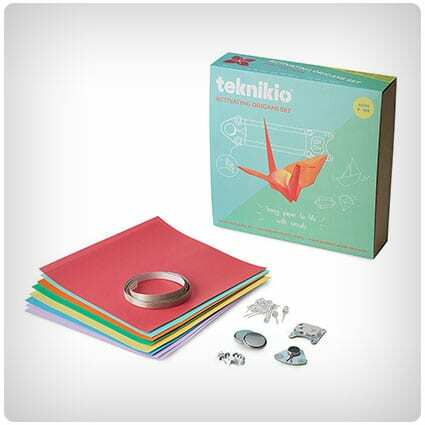 Use this kit to wrap a pair of beautiful unicorns which you can put anywhere around your home. Yarn wrapping is such a simple craft but when it’s done well, it can look amazing. These two mystical beasts will have rainbow manes and tails as well as a sparkling silver horn. Everyone should own a pair of slippers and these Kawaii style ones will be absolutely perfect for any 12 year old. Not only are they in the shape of adorably fluffy unicorns but they have lights in their cheeks which flash through a rainbow of colors. In order to get a good night’s sleep, you need to block out all the light which could come creeping in and disturb you. This plush bunny mask is perfect for your daughter because we all know that pre-teens are less likely to be grumpy if they’re well rested. Getting their clothes right can be a challenge, especially when they start getting their own sense of style and mind. Save yourself the headache of picking their outfits yourself and subscribe to this box which contains 8 hand picked items based on your child’s interests. Is there any better way to get your kids learning than with a game? They won’t even realise that they’re improving their STEM skills because they’ll be having too much fun. 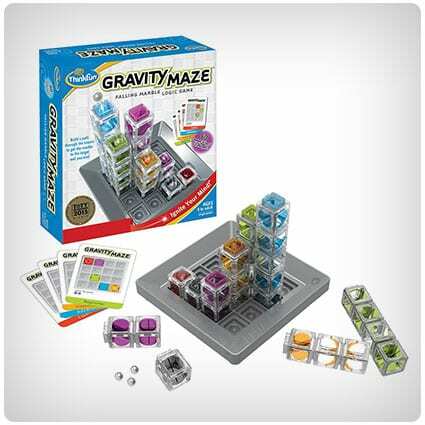 Board games make great gifts for 12 year old girls, and this Gravity Maze one will make them use their logic and critical thinking. There’s no better way for your daughter to show off her interest in the game Fortnite than with this backpack. It’s big enough for her to use for school as there’s enough room for her to keep all of her books, and she’ll be able to start up conversations with new classmates over shared interests. Perfect for both kids and adults, this quick draw card game is a must have for family game night. Choose a card and try to draw what the prompt says before the timer runs out. The first to finish their drawing keeps the card and whoever has the most at the end, wins. In the summer months, there is nothing more fun than a simple water balloon fight. If your daughter’s birthday is in the summer, this pack of over 265 self-sealing balloons will provide hours of entertainment for her and her friends, because a water balloon fight will make the perfect party game. 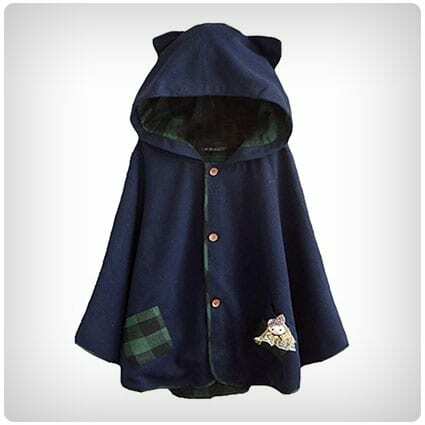 This adorable cape is a great alternative to a winter coat and will be perfect when the weather is cool but not cold enough for a huge jacket. There’s even a hood with added cat ears to keep them safe from winds and rain. Azul isn’t like an ordinary board game; while playing it you take on the persona of decorators. It’s your job to tile the walls of the royal Palace of Dvora and make them the most beautiful walls in the world. Gain points by not wasting supplies, and for beauty too. Even now, Harry Potter is still popular among most generations so why not turn it into a friendly competition? On your next family game night, take it in turns to see who knows the most about Hogwarts with this Harry Potter version of Trivial Pursuit. Not only does this stuffed Shar Pei look adorable, but he also comes with the code to a secret world. Put in his secret code to enter Webkinz World, where you can care for your pet, answer trivia, and use the online money to customize your pet’s room and play some amazing games. A ship in a bottle is an amazing thing so why not build one with your daughter using this LEGO kit? It contains everything needed to build your very own nautical creation, including the bottle and the ship inside, by using the 962 bricks and pieces included. Weaving is a fun and easy to way to create amazing woollen items such as scarves or even cases for your cellphone or sunglasses. 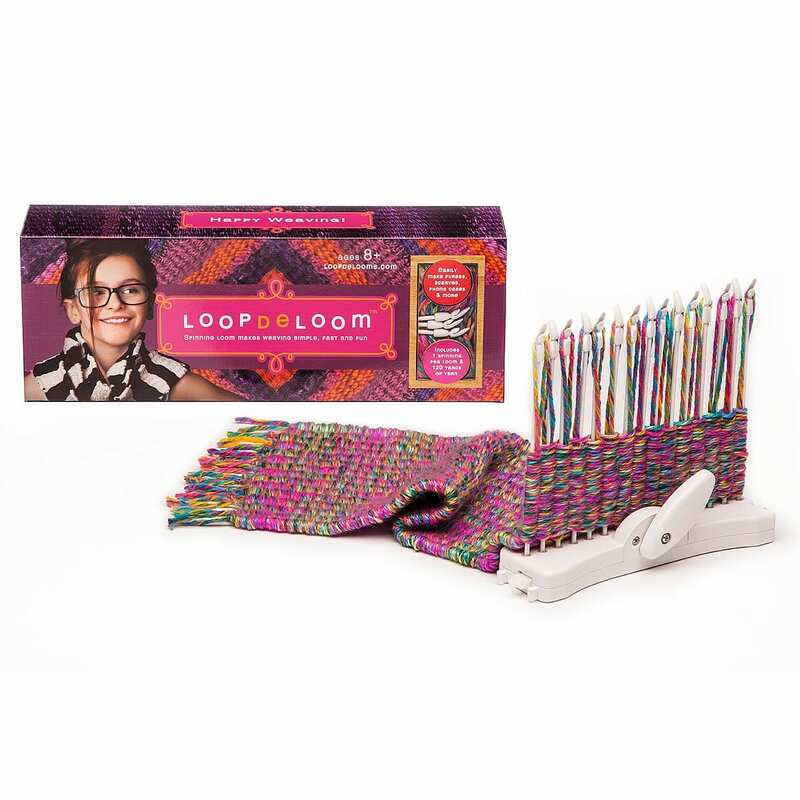 Put multiple looms together and you’ll be able to make bigger creations like throws or blankets for your sofa or bed. LOL Surprise balls are really popular at the moment, probably because of the excitement and suspense they bring. Unwrap it layer by layer to get gifts and then right at the end, find your new doll. This ball is part of the limited edition Pearl Surprise range so your daughter absolutely needs it. Fortnite is the must have game at the moment with millions of players around the world. The Supply Llama Piñata is one of the game’s most sought after items. If you find one, you can break it open to find materials, ammo, and even traps which can help you go further in the game. Have you ever tried to lip read what someone is saying to you in a loud room but completely misheard them? This board game does just that; put on the noise cancelling headphones and see if you can guess what your teammates are saying to you. It produces some hilarious answers! On your next game night, use Forbidden Island to strengthen your family bond as the secret to winning this game isn’t to play against each other – it’s to work together. You have to think strategically to try and stop the island from sinking while collecting its many treasures. These are a great addition to any pre-teen’s room and if you need gifts for 12 year old girls, room décor is a great idea. They might start taking pride in their room and keeping it clean which means you have to nag them less to get it tidy. Tie dye is a great way to breathe new life into old clothes or even sheets. Invite your daughter’s friends over and have a tie dye party; this set of 18 colored tubes will be enough for them all to create a one of a kind piece of clothing which they’ll be proud of. Who wants to be the same as everyone else? Earphones are great for listening to music or watching videos without disturbing everyone else, but they can look a bit dull. Jazz them up a bit by going for elf ear shaped ones…they’ll grab everyone’s attention. Stickers are a great way of putting your stamp on things. This giant sticker activity book contains over 500 stickers which your daughter can use in any way she wants, or you could even give them to her as rewards for doing her chores, it’s entirely up to you. This is a great game to play when you’ve got the whole family over because it’s going to get you all talking and laughing. Look at your selection of Red Apple cards and decide which one best matches the judge’s Green Apple card. You’ll get some hilarious combinations. Used as a place to hang her jewelry or as a pretty ornament, this rainbow yarn tree has so many different uses. 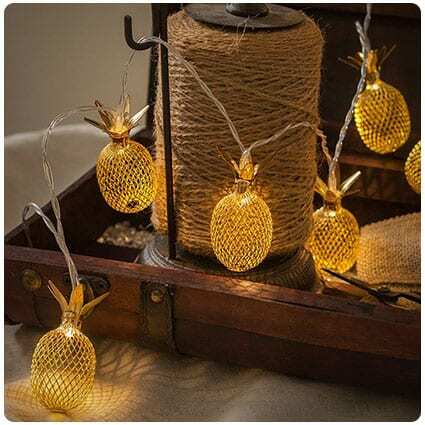 This kit contains everything she needs to create one of her own and it’s so easy – simply weave the yarn around the wire tree and soon she’ll have a colorful yarn ornament. Show your daughter the games her parents used to play with the Nintendo Entertainment System. 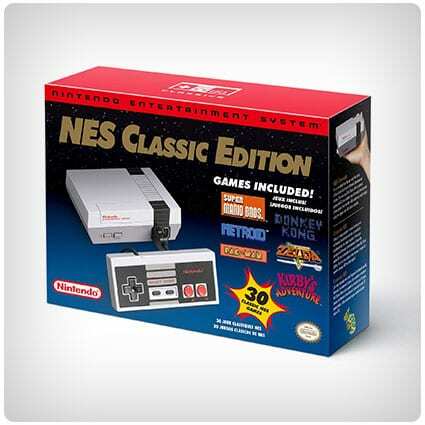 It comes preloaded with the classic games such as Super Mario Bros., The Legend of Zelda, and even Donkey Kong. You’ll get serious nostalgia when you pick up the old school controller. With two different box options, Space Scouts and Flash To The Past, this subscription box is a great way to keep your kid’s mind busy at the weekends or during school holidays. 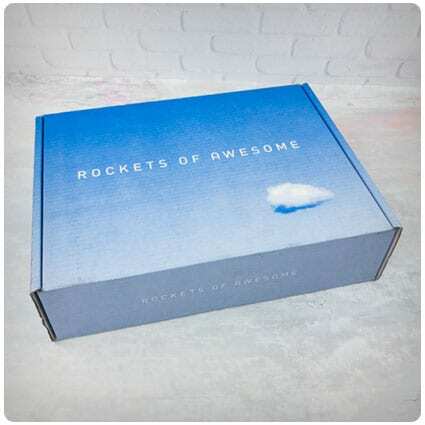 Every month, you’ll get a box which is filled with some amazing experiments and activities. The Magic 8 Ball is a great novelty gift. Give one to your daughter if she’s indecisive about things and let The Ball decide for her. All she needs to do is ask it a yes/no question and see whether it gives a positive answer, a negative one, or simply tells her to ask again later. Staying hydrated is an important part of looking after ourselves. 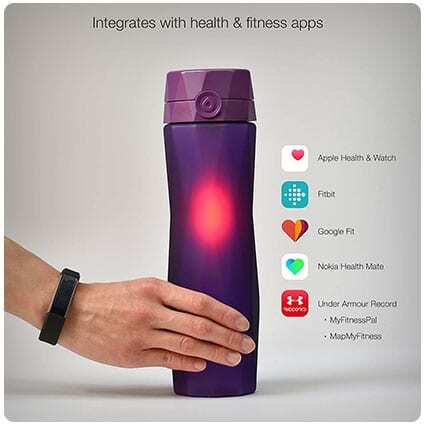 This water bottle is the best one for reminding you to drink enough as it glows when you need to drink some more, tracks your daily intake, and also links up to an app so you can keep an eye on your overall health. Put one of the mouthpieces in and try to say one of the ordinary phrases written on the game cards – it might not come out the way you intended it to. 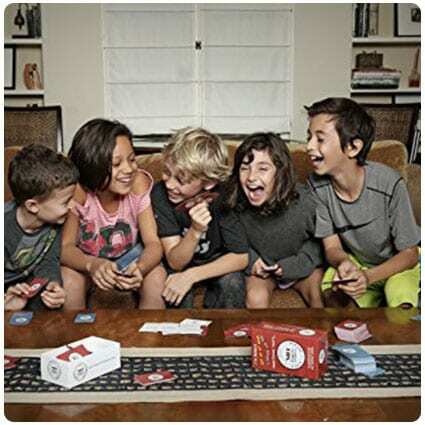 Perfect for game night, this can be played by the whole family with extra card bundles available to buy separately. Origami is an amazing art and it takes incredible patience to learn how to do it. But what if those origami animals could come to life? This kit combines this ancient Japanese art with STEM knowledge and you can animate paper cranes, dragonflies, and even sheep. This is the ultimate games console for 12 year olds. As well as being able to play with family at home, the Nintendo Switch has the option to play on the go, so any unfinished game can be taken with you which stops them being bored in restaurants or on car journeys. Perfect for keeping restless hands busy, this simple ball game can sit on a shelf or bookcase waiting to be used. Made from sustainable bamboo, the aim of the game is for you to remove the sticks without letting any of your colored balls fall, and the winner is whoever has the most balls left. This is the perfect gift for 12 year old girls as they discover fashion and decide on their own individual style. This necklace is feminine, the chain can be adjusted to the perfect length, while the cascading pink orchids give a lovely effect while being super simple. The Internet is at your youngster’s fingertips with the Samsung Chromebook 3. Lightweight and water-resistant, no set-up is required to get started; simply log in with a Google account to access Gmail, maps and pictures. Plus, the built-in security features mean you don’t have to worry, as it’s protected against viruses and malware. What 12 year old girl doesn’t love candy? Now she can make it herself at home with this Yum! Candy Making Science Kit. From gummy worms to crystal rock candy, she can use lab tools and materials to discover sugar science and ‘think like a scientist’. 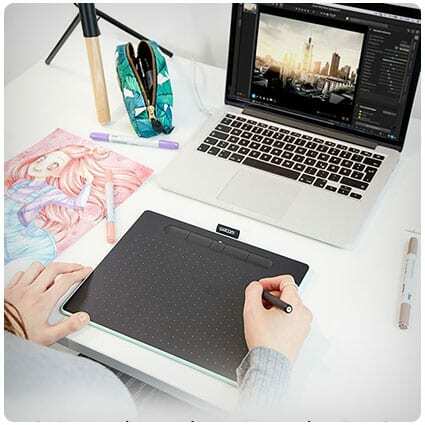 If your youngster has a passion for drawing, help her to bring her sketches to life with the Wacom Intuos Drawing Tablet. Designed for first-time users, the 4K pressure-sensitive pen and lightweight tablet feel just like sketching with a pen and paper – except drawings and paintings can be edited using 3 downloadable software packages. The classic game of Connect 4 has been given a shake-up – with Connect 4 Shots, kids must bounce balls in to the grid, hitting the table or floor first, as they aim to get 4 balls of the same color in a row to win the game. 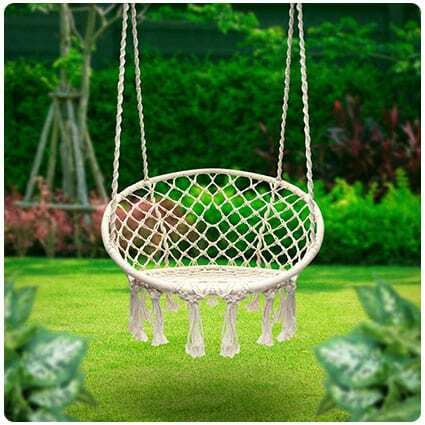 Ideal for both indoor and outdoor use, this bohemian-style Macramé Hammock Swing will give your child somewhere to hang out and read or watch movies. It’s easy to set up too, so it can be moved from their bedroom to the backyard depending on where they want to relax. With a new, even lighter design, the PlayStation 4 Slim 1TB console brings games, TV and music to life at the touch of a button with entertainment options such as PlayStation Vue and more. And with 1TB of storage, your kids won’t ever complain that they’ve run out of memory again. Book worms won’t be able to get enough of the Kindle Paperwhite. The lightest, slimmest design yet, kids can read their favorite stories on the 300ppi, glare-free screen and download even more books than ever before with up to 32GB of storage. Plus, it’s waterproof to withstand spillages. An exciting, new way to play a classic game, this Capture the Flag REDUX edition will light up the dark. Perfect for a sleepover, the kit includes 32 LED pieces, such as glowing orbs (the ‘flags’) and glow bracelets. There are also 6 specialized playing cards with game variations to keep it fresh. Aspiring geologists can have a go at growing these breath-taking crystals. The 4M Crystal Growing Experiment contains everything kids need to get started in order to grow 7 crystals, whilst learning about the different compounds in each one; then they can show off the eye-catching crystal growths in the display domes included in the kit. The scientists who have changed history aren’t just men; girls will be inspired by the 50 women in this book who are pioneers in the fields of science, technology, engineering and mathematics, including primatologist Jane Goodall and physicist Katherine Johnson. A New York Times’ bestseller, this illustrated book also contains a scientific glossary. For tweenagers only, Not Parent Approved is a fun card game in the style of Mad Libs that lets kids get creative by completing the 105 question cards with one of 350 answers – the more hilarious the better! You’ll never have seen them laugh as much. Your 12 year old girl can pamper herself with this Bath Bomb Lab from Mindware. She’ll explore chemical reactions as she uses the ingredients in the kit to create bath bombs with different colors and fragrances; then she can relax with a well-deserved bath or give them as gifts to her friends. Kids can stream live TV and movies in 4K Ultra HD with the Fire TV Stick, which also has more storage for their apps and games. And with the Alexa voice remote, they can launch and control their favorite TV shows and movies at the touch of a button… while Alexa does the hard work. Kids can get card grabbin’ and spoon snaggin’ with this game of PlayMonster Spoons – the aim is to get four-of-a-kind to avoid being eliminated at the end of each round, but they have to get their hands on a spoon to stay in the game. Juicy Girls won’t be able to get enough of these awesome Juicy Couture Fruit Obsession bracelets from Make It Real. The kit includes bangles, beads and charms so kids can make 10 cute bracelets for themselves or their friends to stand out from the crowd. When you’re 12, you start to take an interest in how to look after your skin using good skincare. This kit has the ingredients and materials for her to make all natural lip balms and moisturizing lotion bars in various delicious scents. She might give you one to try out! In the colder months, our lips really suffer and rummaging around in our purses for the Chapstick is a pain. 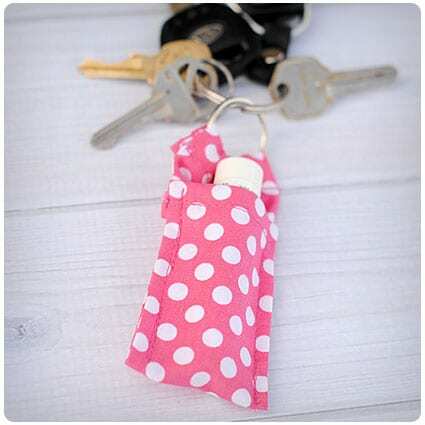 Follow this tutorial and you’ll soon have the perfect sized holder for your lip balm and the best thing of all is that you’ll be able to find it easily because it’s on your keys. Your 12 year old will suddenly start having a really busy social life but you also want to make sure that she keeps on top of her schoolwork. Sit down and make this DIY fabric memo board with her and she’ll always have somewhere to put her reminders and notes. Glitter solves everything, there’s nothing which can’t be made better with some glitter – this tutorial just proves that as it shows you how to glitter-fy a cup. It’s so easy to do and there’s no reason why you can’t apply the same technique to mugs, vases, or even plates. If you’re a little bit short on money but you want to give her an awesome birthday gift, take some inspiration from this tutorial. 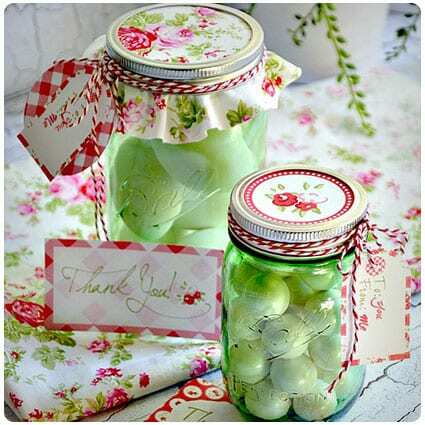 It tells you how to make a cute gift in a jar filled with her favorite items, and there’s even a sweet printable label, too. As your daughter approaches her teenage years, it’s a scary time for you both. Keep the relationship between you both as strong as it is now by writing her some letters about what she’s likely to face. She’ll always know that she can come to you with a problem then and she’ll never feel alone. Your youngsters can keep warm in style this winter with these DIY boot socks. Check out the tutorial to see how to make these cuffs by reusing old sweaters. You can then get to work customizing them with whatever is in your craft supplies box to create one-of-a-kind accessories for fashion-conscious kids. Have a go at creating this cute DIY twist scarf for a stocking filler for your tweenage girl or for her to gift to her friends. They’re quick and inexpensive to make, and they look just like the ones she’s been desperate to get from the mall. Bring the outdoors indoors during the holidays with these beautiful snow globes. Check out this post to see how to make the globes for less than half the price of the ones you’ve seen in the stores. Plus, it’s a fun project to do with the kids for their bedrooms. Create an original gift as a stocking filler for the kids using this chalkboard paint for ceramics. Read the article to see how you can customize a plain mug with the paint, which they can draw on as they’re drinking their hot chocolate (with extra marshmallows, of course). If you’re searching for a unique gift for a tweenage girl this Christmas, look no further than this DIY flower monogram. 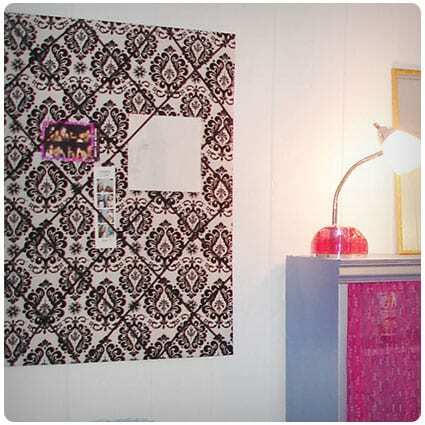 Grab your glue gun and get sticking to create this beautiful design that she can hang on her bedroom wall. Check out the post to find out how. I bought my 12 year old some of these gifts and she loved them, there fun and great to play with. I could tell that she had the best Christmas ever. Thank you so much for the ideas I pretty much want everything on this list!! Thank you so much! My twelve year old girl will love some of these gifts!